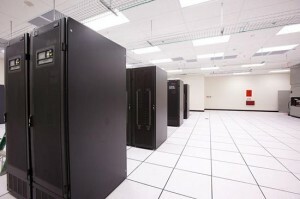 Quality data center design is essential to business function. You depend on your data center to keep your system running and to store data. Headaches from crashes, outages, lost data, and lost productivity are not only frustrating, but can be financially devastating. Don’t leave the design of your data center to a well-intentioned, do-it-yourself employee. When it comes to designing a reliable data center many things have to be taken into consideration. Adequate hardware and software as well as effective backup storage, security measures, and cooling systems are all required. When it comes to designing this complex interplay of equipment, power, and security, there is no question that experience matters. A solid IT foundation has a direct effect on business function, so leave your data center design to the professionals. Just because you are going to hire a certified data center designer does not mean you are off the hook. You need to be knowledgeable about key components and issues surrounding data center design. You will need this knowledge when interviewing potential service providers. You will need to be able to ask them intelligently about the services they offer and the methods they employ. What kind of cooling system do they use? What security measures do they typically build in to a design? What kind of uninterrupted power supply to they install? These are all key questions. When selecting a design service provider, you need to be able to articulate what you want from them and understand what they are offering you. When selecting a design service provider, be sure they can provide you with not only cutting edge technology, but certified and experienced designers and installers as well. A quality service group will have access to industry experts. These experts will have track records that have proven successful in providing quality solutions to IT clients. Having an inexperienced provider assist you may not be much better than doing the design and installation yourself. When it comes to data center design, experience absolutely matters. Experts will be certified and have the education, experience, and skills to astutely evaluate what your business needs from a data center. They will be able to judiciously implement services that may even surpass your expectations. Services should be highly customized to the particular need of your business. Efficient real and virtual architecture, high grade storage, and seamless deployment are to be expected. Data centers, while necessary, create intricacies and complications that you may not have dealt with previously. This is why professional design, installation, and deployment are so important. Moreover, you want your data to be perfectly suited to your needs. An expert has the knowledge to ensure the end result meets with your every expectation. Whether your business requires a basic installation or highly advanced services, you want the assistance of certified professionals to ensure your data center is designed and installed correctly the first time around. Doing so will minimize down time, effect productivity as little as possible, and keep your IT expenses within budget. Unquestionably, data center design is not as straight forward and simple as it may seem. Use the expertise of a certified professional is well worth the investment. This entry was posted in Computer Room Design, Data Center Design and tagged computer room design, data center design, data center design company, scottsdale data center design. Bookmark the permalink.